GIVEAWAY HAS ENDED. THANKS TO ALL WHO PARTICIPATED! Oh my friends!! I have the giveaway of all giveaways to share with you today! 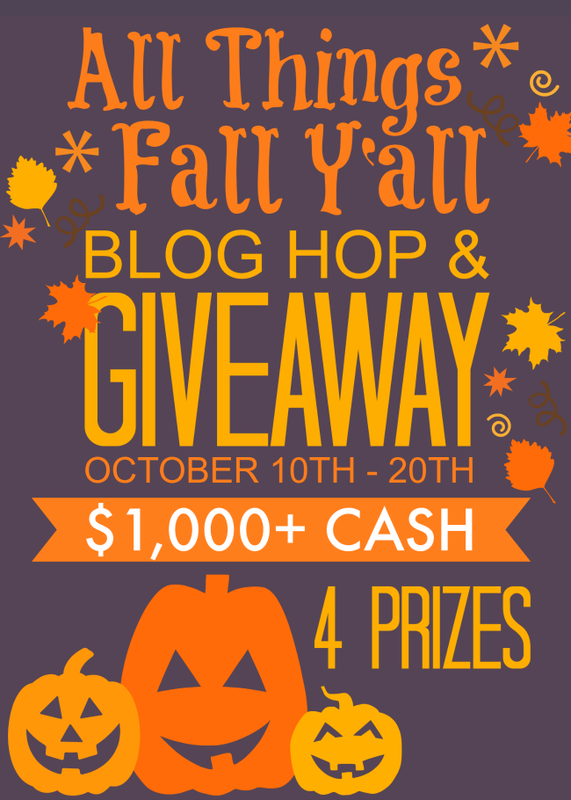 I am teaming up with over 70 other bloggers to offer this exciting giveaway and fingers crossed, one of you wins! THIS GIVEAWAY COULD NOT BE POSSIBLE WITHOUT THESE FABULOUS BLOGGERS FEATURED BELOW! Thanks a lot Amanda for hosting this wondeful give-away and thanks to a bucket load of sponsors for making this possible. I am really glad because giving a chance to International Participants to also take part in such give-aways. My fingers and crossed ! At the same time, I wish each and every sponsor bloggers for this opportunity. First let me say how excited I am for you and your family! I was only fortunate enough to have one child but even 43 years later, I remember my first sight of her as if it were yesterday. You are starting the grandest adventure there is in life! 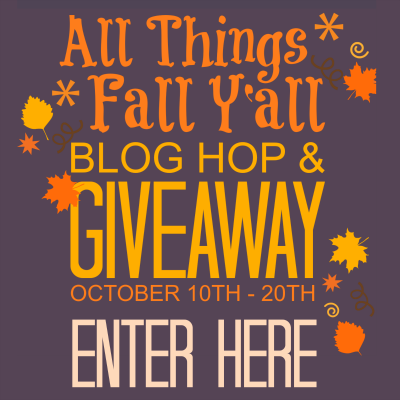 I found out that I am a winner in the “All Things Fall Y’All” giveaway because I followed you on Pinterest. (Please post baby pictures there!) I just wanted to thank you for bringing me luck and give my thanks to all of the sponsors of the giveaway! It’s so exciting! Thank you again.